Contract furniture specialist Knightsbridge has strengthened its care and residential furniture portfolio with a variety of new upholstered seating and dining furniture featured in the newly published Furniture Collection guide. Newcomers include soft seating ranges Jenny and Jilly, each collection featuring a selection of armchairs and settees suited to an array of applications including lounges, breakout areas, bedrooms and receptions. The popular Shelley range has been extended with modular soft seating which can be ordered to suit any layout and with its domestic styling brings a home-from-home feeling to both traditional and contemporary interiors. Dining chairs Jazz and Spark add a burst of colour to the current portfolio with a selection of 12 modern bright colours bringing an uplifting feel to dining areas, cafes and bedrooms. Knightsbridge’s complete furniture portfolio features a selection of specialist furniture including petite, extra care, dementia and bariatric users which have been developed by Knightsbridge’s in house design team alongside care professionals. 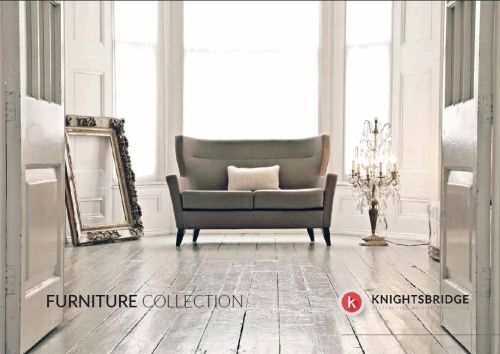 For more information on the Knightsbridge Furniture collection or to request a brochure visit www.knightsbridge-furniture.co.uk, call the sales team on 01274 731900 or email enquiries@knightsbridge-furniture.co.uk.